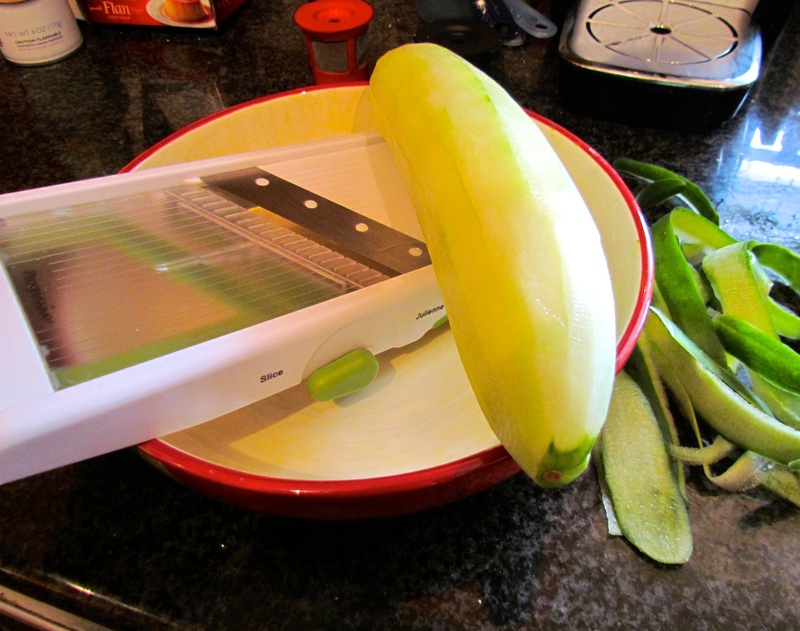 I love my cucumbers (and no, no twisted mind comments allowed)! 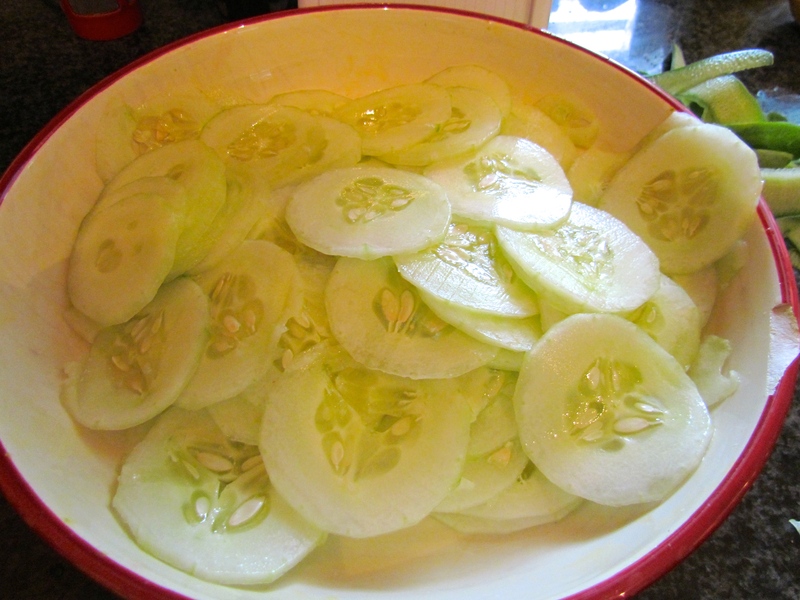 I use them everyday in my juices but at least twice a week I make my favorite cucumber salad. Its fresh, its healthy, its tasty and its easy to make. And that is it, see how simple it was? I find myself having this for breakfast, lunch, dinner, side dishes, etc. I even have my daughter Phoebe hooked on it, she will swing by the house, steals it from the bowl in the fridge, into a tupperware container and woosh off to school it goes! Think its too bland for you? If so, jazz it up with some sliced tomatoes or sliced peppers. Also try adding some chopped watermelon! 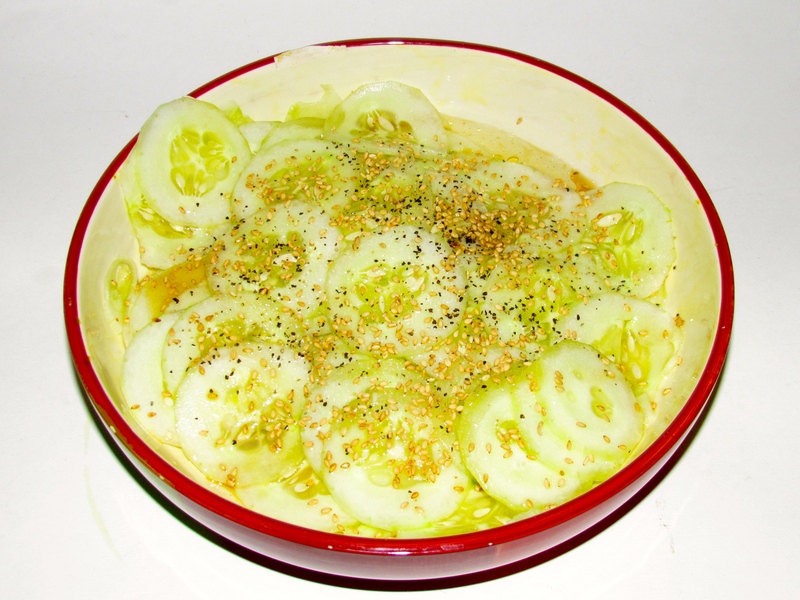 Don’t like the Sesame oil/seeds, use Olive Oil instead…. Prev Grilled Cheese fit for a Queen (oh that would be me)!